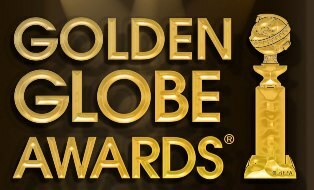 The common consensus is that the Hollywood Foreign Press and the Golden Globes are silly entities that prefer style over substance and the new over the established, and it's hard to argue with that assertion after looking at the television nominations for the 69th annual Golden Globe Awards. Out of all of the categories, Best Television Series - Drama made the most sense as Boardwalk Empire, Homeland, and Game of Thrones all got deserving nominations. Since I didn't watch Boss, I cannot comment on its quality, but it does seem like the kind of show the HFPA would nominate. I know that there are some who were flabbergasted that American Horror Story got the nod over Breaking Bad, Justified, or The Good Wife, but these are the Globes we're talking about, so I wasn't too shocked or appalled. It is what it is. On the funnier side, Glee and Modern Family were nominated yet again for Best Television Series - Comedy/Musical, and they were joined by Enlightened, Episodes, and New Girl. Honestly, I was a little surprised that Glee was included yet again since the backlash towards the show is so strong, but I'll take it. I just don't think it's going to three-peat. I wasn't too surprised that New Girl got a nomination since it's one of the hottest new shows on TV, but I don't understand all of the love for Episodes. I don't know a thing about Enlightened, but it seems like it's in the same vein as Nurse Jackie and The Big C, so its inclusion was not a shock. Further proof of the anti-Glee sentiment could be seen in the Best Actor/Actress categories for Comedy as it went from 4 for 4 to being shut out. I understand why Matthew Morrison, Lea Michele, and Jane Lynch were not asked back, but I was a little surprised that Golden Globe Winner Chris Colfer didn't get the chance to defend his title. Speaking of acting, Best Actor - Comedy/Musical has to be the most absurd category of the bunch since only one nominee was deserving, and of course I'm talking about The Big Bang Theory's Johnny Galecki. Yay sarcasm! I'm totally on board with Alec Baldwin's nom, but the rest of the field doesn't make much sense to me. Yes, the aforementioned Galecki and Episodes' Matt LeBlanc were nominated for the Emmy, but their inclusion didn't make much sense then either. As for the ladies, I'm OK with those who were nominated for Best Actress - Comedy/Musical (massive props to Zooey Deschanel and Amy Poehler). The Drama race will be interesting since a supporting actress (Madeline Stowe) snuck her way into the leading category, and we got another out-of-nowhere nomination for someone from the USA Network, but at least it wasn't Piper Perabo this time around (I really dislike Covert Affairs). I'm just glad Claire Danes was nominated for Homeland. Danes' castmate, Damian Lewis, was also nominated for Best Actor - Drama which was well deserved, as was the nominations for Boardwalk Empire's Steve Buscemi and Breaking Bad's Bryan Cranston. I even understand Kelsey Grammer's nod for Boss, but I'm not quite sure why Jeremy Irons was invited to the party instead of say Emmy Award Winner Kyle Chandler. The less I write about the Supporting categories, the better, but all I will write is thank God for Peter Dinklage and Kelly Macdonald. That is all. Overall, the crop of Golden Globe nominees is uninspired at best. I'm not overly annoyed by those who were recognized over those who weren't because it's hard to take the Globes seriously to begin with. If anything, I'm more annoyed that Ricky Gervais will be hosting again, but that's a rant for another time.